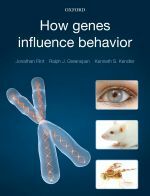 BishopBlog: Review of "How Genes Influence Behavior "
One would expect an introductory textbook by these three eminent scientists to be good, and it is. It covers behavioural and molecular methods, using examples from the authors’ own work in psychiatric genetics. The field is put in historical context, with the false turnings explored, as well as the major breakthroughs. The authors take us on a journey through family, adoption and twin studies, on to the history of molecular psychiatric genetics, starting with the early, and usually unreplicated, linkage studies, through genome wide association studies and animal models using rodents and drosophila. Concepts are explained with a minimum of technical and statistical detail, making the book accessible to a wide readership. What sets this book apart from others on this topic are the personal and often witty accounts of doing research. Kendler’s anecdote of a family study of schizophrenia in Ireland is particularly engaging, including an encounter with an elderly grandmother who expressed indignation that he should be driving around all over the place interviewing people to find out if mental illness ran in families. “’Why everybody knows that! Take the O’Donnells for example. They are as mad as can be and it goes back generations.” (p. 12). One also gets a sense of the hard graft involved in doing research in this area: Kendler estimated that his study took 18 person years just to gather the data, and evidently required persistence and a willingness to work heroically antisocial hours by the research team. Chapter 5, on genetic association analysis, is a sobering account of the ‘quagmire’ resulting from thousands of pounds worth of funding directed to finding genes that might explain psychiatric conditions. I’d recommend this chapter to those looking for (nongenetic) associations between individual differences in behaviour and brain markers: I see close analogies between the problems of molecular genetics and those found in neuroscience, where the sheer quantity of data makes it easy for spurious associations to be mistaken for real effects. So far neuroscientists have barely confronted this issue, though it’s pleasing to see Kriegeskorte et al (2009) making a start. Anyone contemplating a research career in molecular genetics would do well to read the paragraph on p 34-35 debunking popular assumptions about life in the laboratory: “A combination of intelligence and technology applied to taxing but interesting biological problems leads to ground-breaking discoveries that could cure disease or change our understanding of the universe.” Well, no. The work is dull, repetitive, and usually unsuccessful. And if after years of work you do find something interesting, your laboratory head will ask: “Why is this finding wrong?”. In fact, I suspect only really good laboratory heads do that - the bad ones rush gleefully into print, which is why the field is littered with nonreplicable findings. But as Flint et al point out, you need to ask it because it’s embarrassing to publishing something that is wrong, your peers will do their best to find flaws in the work, and, most importantly, “it’s only by publishing findings that are robust to any possible criticism that we’ll make any progress”. A refreshingly old-fashioned take on the scientific process that is all-too-often forgotten in the current climate where we’re all encouraged to publish as much as we possibly can, and where a dramatic but non-replicable result may get you two papers in a high-impact journal: one for the original finding, and the other for the failure to replicate.